Quick Thoughts: HOW I MET YOUR MOTHER, "The Best Man" and "The Naked Truth"
I haven't pulled any punches when it came to my disappointment over the last few seasons of How I Met Your Mother, and it looks like that's not going to change anytime soon. The hour-long Season 7 premiere was mostly lackluster, but it did end on a higher note. "The Best Man" kicked off where Season 6 ended with Barney's wedding, but of course most of the episode was spent at Punchy's wedding instead so nothing was really resolved. Instead we got every aspect of this show that I dislike. Not only did we get more Barney and Robin shoved down our throats, but we also got a nice dose of Know-It-All Lily, Douchey Ted, and unnecessary fake-outs that didn't add up to anything. Oh, and a totally pointless dance number. The only thing that made me laugh was drunk Marshall, but he wasn't enough to salvage the episode. "The Naked Truth" was slightly better than the season-opener, but again that had more to do with drunk Marshal (aka Beercules) than anything. One of the few story lines that has had any legs over the last few seasons of the show has been the maturation of Marshal and Barney (everyone else seems to be stuck in place), so seeing him deal with some of the silly mistakes he made in the past as he prepares for his future was relatable and worked within his arc. Also, since I'm not a fan of Barney and Robin, I'm all for Barney and Nora, so I was glad to get back to them. I could've done without Pretentious Ted and his non-stop journey towards the one, which bums me out since I was so invested in his story at one time. That being said, things may have taken a turn in a positive direction thanks to an unexpected return by someone from Ted's past. 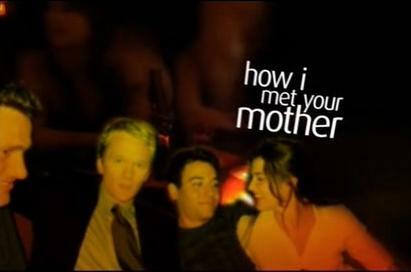 After "The Best Man" and "The Naked Truth", I cannot say that I'm confident in the new season of How I Met Your Mother. I think that my allegiance to the show will have everything to do with who Barney ends up marrying, and my gut's telling me that I'm not going to be sticking around for much longer. Maybe I'll luck out and be wrong.